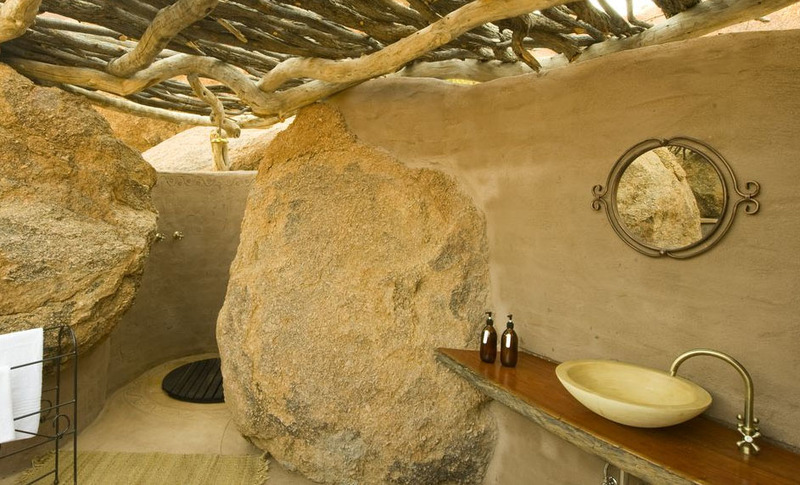 Beside sleeping comfortable at night, Africa has the best bathrooms one can imagine. From your room you "exit" in cozy open sites where rocks have kept their main position, trees keep growing freely and have not been damaged by builders. Among rock shoulders here stands your washbasin. You sit on your toilet and you watch the birds flying by! 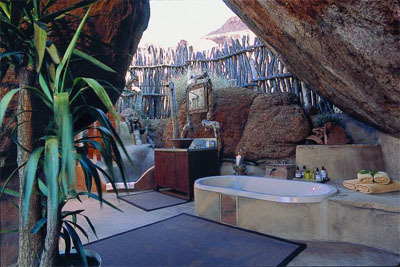 African bathrooms have always nice space for two!